my current set-up on my Sunfish for controlling the mainsheet is a bit out-dated (for any non-sailors, the mainsheet is the line you pull in or let out to adjust the angle of the sail). 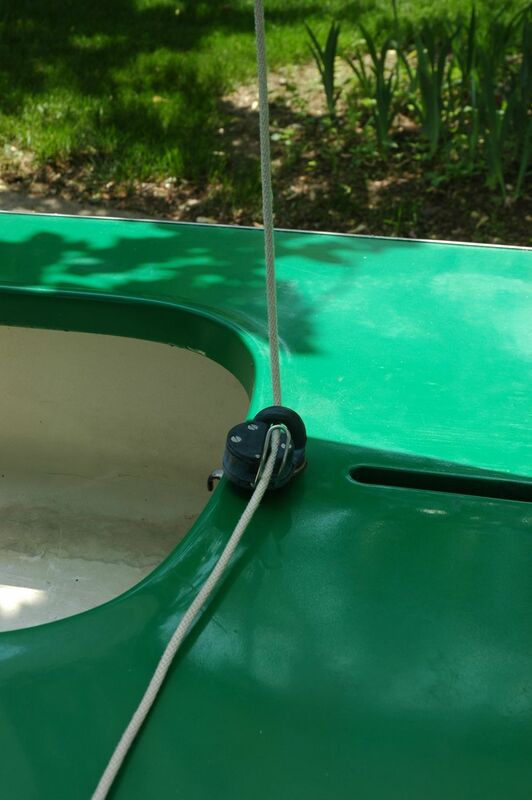 here is a picture of my current setup on the Sunfish. there is a swiveling fairlead and cleat, and then the original hook below it on the lip of the cockpit edge. my older Super Porpoise has nothing to hook the mainsheet on – no cleats, no hook, no nothing! so this was a big improvement for me as I was learning to sail the Sunfish. by passing the mainsheet thru the fairlead, I then have the option if I want, to cleat the sheet when I have the sail position set. the 2nd picture showing the mainsheet in the fairlead – the sheet goes up to the sail, and the sheet coming towards me is what I’ll hold while sailing. 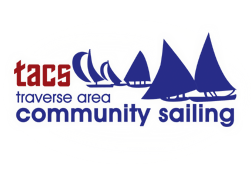 over at the Sunfish Forum, I have noticed a few threads over the past few months discussing options to upgrade the controls for the mainsheet. in the same discussions, though, there is also the debate on whether on not cleating the mainsheet is such a good idea. one side takes that stance that the mainsheet should never be cleated, as you should constantly be adjusting the sail trim to optimize the sail in the wind, and that cleating could also present a potentially dangerous situation if a gust of wind is too strong, and causes the boat to capsize. 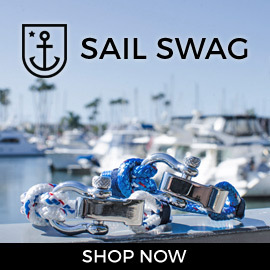 as a guy fairly new to sailing, I tend to agree with the other side, though, in that having the option to cleat the mainsheet certainly is nice on occasion. it gives your arms/hands a quick break, and gives you the chance to grab a snack or drink of water. and especially when I am sailing with a 2nd person or a child, I find it easier to set the sail position and cleat the sheet, and then fine-tune things with adjustments made to the rudder position. I recognize that this can lead to capsizing, if a rather large gust were to hit the sail, and I wouldn’t be able to un-cleat it quickly enough to depower the sail. I also don’t really mind the occasional capsize, though, and feel it gives me a chance to get cooled off, and practice righting the boat back up! I only have to remember to uncleat the sheet prior to righting the boat. anyway, going back to the debate on how to upgrade the mainsheet controls. someone at the Sunfish Forum put together this handy diagram for an option to include a swiveling cam cleat and a mainsheet block. 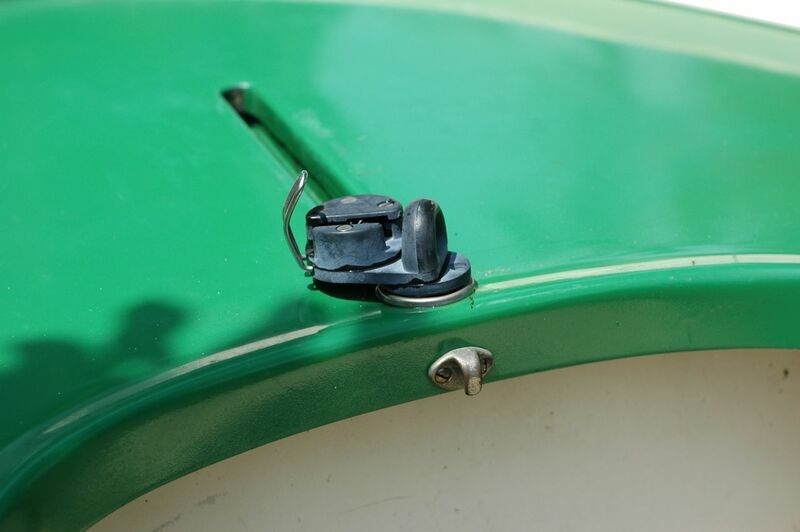 it is more or less agreed upon that the harken 241 ($56) is a good option for the swiveling cam cleat base, which you then remove the fairlead, add an eyestrap and stand-up spring, and then a ratchet block. 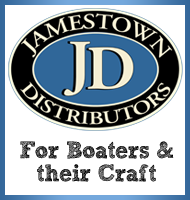 the 2 suggested options for the mainsheet block are the harken 019 and the harken 2135.
the harken 019 ($58) is often referenced on the Sunfish Forum as the standard. the 019 is a “little hexaratchet”, with a 2.25″ diameter sheave. the harken 2135 ($52) is the other mainsheet block occasionally, but not as frequently, thrown out as a viable option. it is specified as a 57 mm block (which is equal to 2.25″, so the same as the 019 above). the 019 doesn’t specify it’s holding power, but the 2135 provides a 10:1 holding power, so significantly decreasing the amount of pull required to keep the sail sheeted in. I decided to go straight to the (a?) source, and called up Torresen Marine (also online at SunfishDirect.com), and spoke to a very helpful representative named Christopher (providing another example of great customer service). we discussed the use as the mainsheet for a Sunfish, and the two different options from harken, 019 vs the 2135. he mentioned to me that the 019 has been around since probably the 1960’s, and that they (Torresen) mainly keep the 019 in stock for people who are looking to upgrade their block, but match it with the look of other hardware on their sailboat. he continued on to say that the 2135 is the more current model, and as such has newer technology adapted into the design, and should be lighter as well. he highly recommends the 2135, and as a bonus – it’s a couple dollars cheaper! I’m not sure when I’ll get around to it, but that’ll be my plan going forward – use the harken 241 mainsheet cam cleat, but add on the harken 2135 with the eyestrap and stand-up spring. I’ll probably use the old model off my Sunfish for the Super Porpoise, so it ends up being an upgrade in a way for both of my boats, and would cross a few things off my never-ending parts list. If you still need all the extras that go to a super porpoise, I may be able to sell them to you in August…everything but the boat.